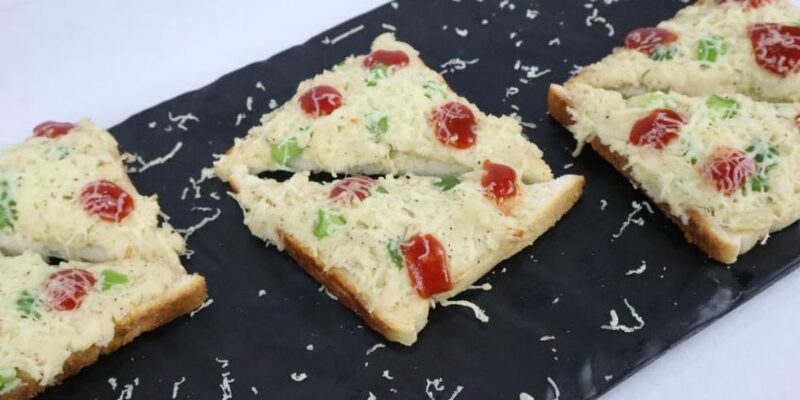 Veg Quesadilla is Mexican food made a trend in India long back. 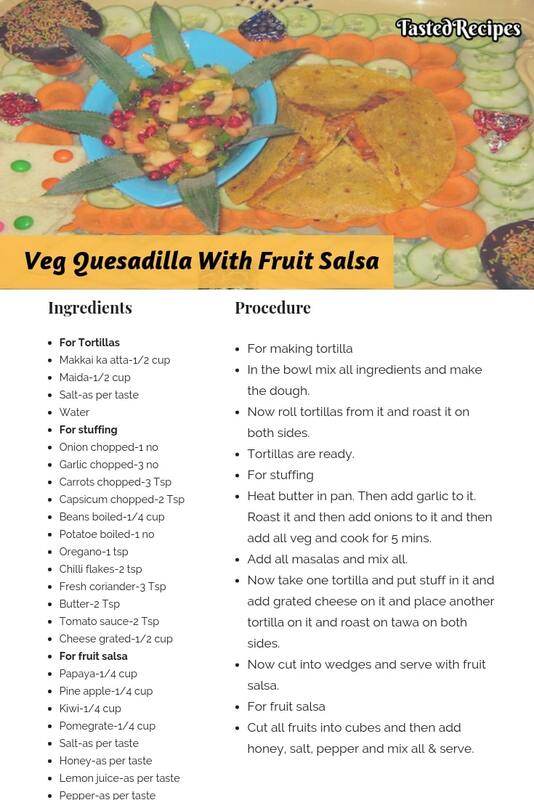 My kids are the fan of Quesadilla & just to share my love with them, I have made a simple change in the recipe. 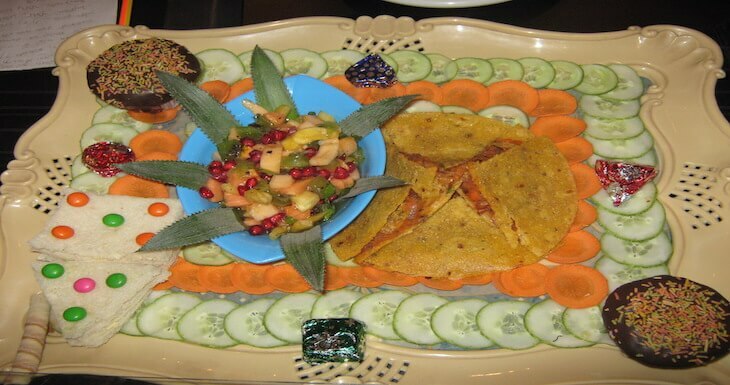 Veg Quesadilla with fruit salsa can be a nice home date celebration with your loved one. Place a plate on the dinner table with some candles and enjoy the romantic moment together. It is unexplainable so I better suggest make one such moment. The recipe has a nice twist. Quesadillas are served with any kind of salsa so I have made fruit salsa. Everything is then stuffed inside tortillas, seared, and cooked until fresh and brilliant. Fresh outwardly, melty and gooey within. Sort of like a vegetable flame boiled cheddar… and truly, absolutely delectable! 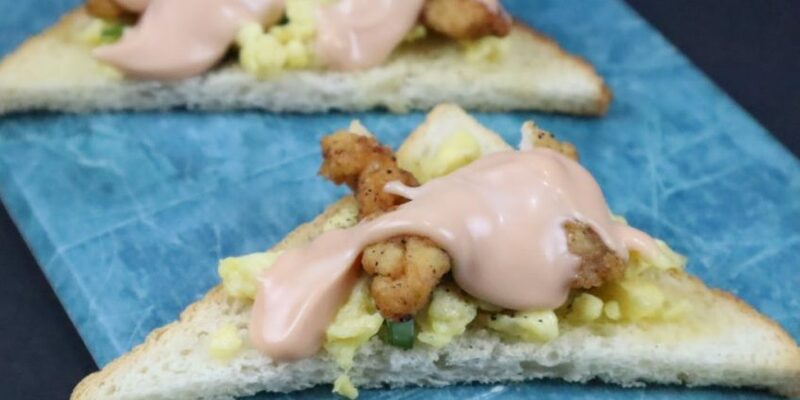 Without making you wait further, let’s dive into a sour smoothy food trip. 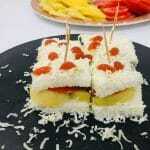 If you want something that is easy to make, then try our Bombay Veg Sandwich. In the bowl mix all ingredients and make the dough. Now roll tortillas from it and roast it on both sides. Heat butter in pan. Then add garlic to it. Roast it and then add onions to it and then add all veg and cook for 5 mins. Add all masalas and mix all. Now take one tortilla and put stuff in it and add grated cheese on it and place another tortilla on it and roast on tawa on both sides. Now cut into wedges and serve with fruit salsa. Cut all fruits into cubes and then add honey, salt, pepper and mix all & serve.